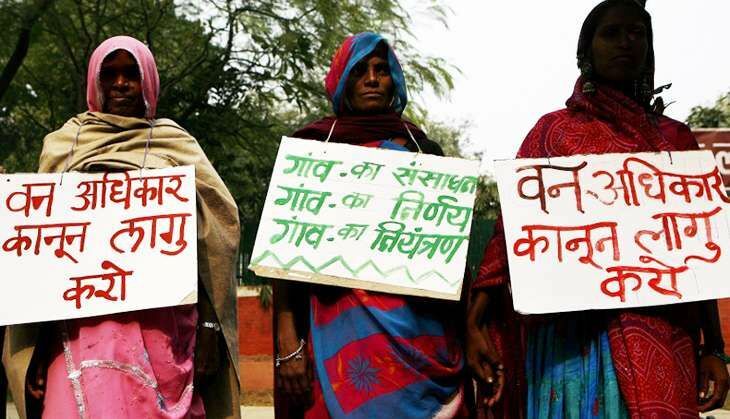 It has been 10 years since the Forest Rights Act was passed. Has the plight of tribals improved? Dhaneshwar Mohanta is ecstatic that his village is no longer under the influence of Maoists and is on the path to progress. Giving credit to the Odisha government for recognising the community forest rights (CFR) of the 43 villages located in the core and buffer areas of the Simlipal Tiger Reserve (STR), Mohanta said the forest department and locals no longer share a strained relationship, which was often exploited by Maoists. Mohanta's village was one of the 43 villages whose CFRs were recognised in April 2015, under the Scheduled Tribes and Other Traditional Forest Dwellers (Recognition of Forest Rights) Act, 2006, better known as the Forest Rights Act (FRA). A resident of Itamundi village in Mayurbhanj district of Odisha, which falls within the STR, Mohanta has come to New Delhi to attend the two-day National Convention on Community Forests Rights, to mark the 10th anniversary of the Forests Rights Act. "The government realised how Maoists were exploiting people's anger against the forest department over forests rights, and decided to do something concrete to address the issue. And then in April 2015, the government recognised the CFR and individual rights of the villagers, which was welcomed by all," Mohanta says. Echoing Mohanta's views, a report released by a group of NGOs claims: "By securing land and resource rights, FRA provides an opportunity to address Left-wing extremism in 106 districts in India's 10 states." While these 43 villages are celebrating their new found freedom, the report, titled 'Promise and Performance - Ten Years of Forest Rights Act', presents a grim picture on FRA's implementation across the country. The report highlights how the rights of 190 million people over 30 million hectares of forests still remain unrecognised. "Less than 5% of the potential for rights recognition for over 200 million tribals and other traditional forest dwellers has been achieved under India's Forest Rights Act," reads the report. While states like Odisha, Gujarat, Maharashtra and Kerala have led from the front, others like Assam, Bihar, Goa, Himachal Pradesh and Uttarakhand have failed in implementing the FRA, whose main objective was to protect the rights of the indigenous communities. Even the Prime Minister's Office has taken note of the ineffective implementation of the FRA, and on 27 November, directed seven states to restore the rights of tribals living in the forests for centuries. The seven states that have lagged behind in FRA's implementation include Assam, Bihar, Himachal Pradesh, Tamil Nadu, Uttar Pradesh, Uttarakhand and Jharkhand. "...It (FRA) has the potential to conserve forests and biodiversity, improve local livelihoods, and help meet India's international commitments to sustainable development and climate change mitigation," says Neema Pathak Broome, a researcher with Kalpavriksh. "Unfortunately due to a lack of political will and intentional efforts to undermine the law, this vast potential for democratic forest governance remains unrealised." Though the report welcomes making the Ministry of Tribal Affairs the nodal agency for the FRA, it criticises the lack of support to the poorly-staffed ministry and state tribal welfare departments. The nationwide study highlights how one secretary, assisted by two joint secretaries, one deputy director general and an economic advisor, handle not only FRA-related work, but a plethora of other responsibilities. "Against the sanctioned strength of 137 employees, only 101 are in place," says the report. Moreover, no separate budgetary provision has been made to implement FRA, and because of these factors, the ministry has fallen woefully short of addressing the implementation challenge. Even the state level nodal agencies suffer from lack of political will to ensure better implementation. Widely considered as one of the most crucial pieces of legislation passed during the UPA rule, FRA was meant to alleviate the injustices meted out to India's tribals during the British rule and later in independent India. For centuries, tribals have been living in forests and even protecting them, until the government started regulating them. The FRA was a ray of hope that was meant to end years of injustice, but shoddy implementation and lack of political will has yet again let poor tribals down.